It is very easy to look at the adversity, see only doom and gloom and give up quickly. However, real winners see the opportunities behind the challenge. It may be tempting to assume that e-commerce is the new reality, but I believe retail sales still have promise. Let me share a story. 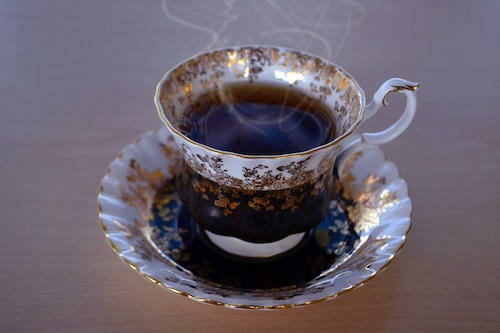 Once, a gentleman had a beautiful bone china cup in which he would enjoy his tea, while reading his books. He relished the experience every day. It’s easy to imagine: most of us have relished a nice drink, something to read, and a few quiet moments. One day, he accidentally dropped the china teacup and broke it. He didn’t have another cup and he was unable to find another that was as sleek and as beautiful as the one he had. He was disappointed thinking that he was never going to be able to have such a calm, relaxing experience again. Then he had an idea: he asked a master craftsman to try to fix it. The craftsman knew that he couldn’t make it look like new. He thought for a long time and finally had a clever idea. He made golden glue by adding gold powder to the adhesive and then glued the pieces together with the golden cement. The cup was even more beautiful than it was before—and unique as well. The master craftsman turned adversity into opportunity. Truly great companies take a similar approach. Consider the Starbucks barista. People stand in line every day to buy their coffee. The baristas are trained to have the goal of ensuring the customer is completely happy. They are willing to make any variation on a drink. They are trained to build relationships with the customers and remember specific traits and preferences of each. Most of all, they are trained to respond positively to any customer dissatisfaction and to remake the order until the customer is satisfied. Human connection is a powerful thing. Similarly, another popular store near my neighbourhood is Chick-fil-A. This fried chicken restaurant stands out for true hospitality (a fast food place where waiters check in with you). The company also values innovation. When you go at a busy time, you’ll find servers using tables to take advance order and expedite things. Further, Chick-fil-A associates are humble, something driven by the corporate culture. 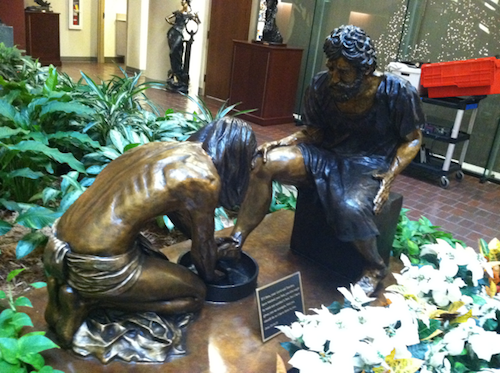 One of the first things you will notice when you walk into corporate headquarters is a bronze sculpture of Jesus washing the feet of one of his disciples, a pointer toward an attitude of service. The bottom line is that the whole company is focused on the objective of giving customers an unmatched and memorable experience. The third one on my list is Domino’s Pizza. The pizza ordering process and getting status updates is so easy. They can give you exact pickup timing. Dominos has clearly figured out the customer experience is maximized when the pizza is delivered hot and when the customer sees the pizza making process. In the store, there are step stools to allow kids to step up and see the pizza being made. A big flat screen display gives instant access to order info. It’s completely easy and convenient. The Ebb & Flow of Retail Supply Chain: Is AI The Answer?